We have a limited number of VW parking tickets available to book online so you can secure your parking. Please arrive between 8 and 10am and a marshal will direct you to your parking space. Tickets are valid from 8am until 8pm (parking is free after 8pm). For event safety we kindly ask that you do not leave our car park before 4pm. Tickets will be sent to you (£1.50 charge) or can be collected from our Box Office (free). Please make sure you collect your tickets 3 days before the event. You will need your ticket with you in order to gain entry to the car park. Booking fee of £1 apply of booked online. Please see booking information below. 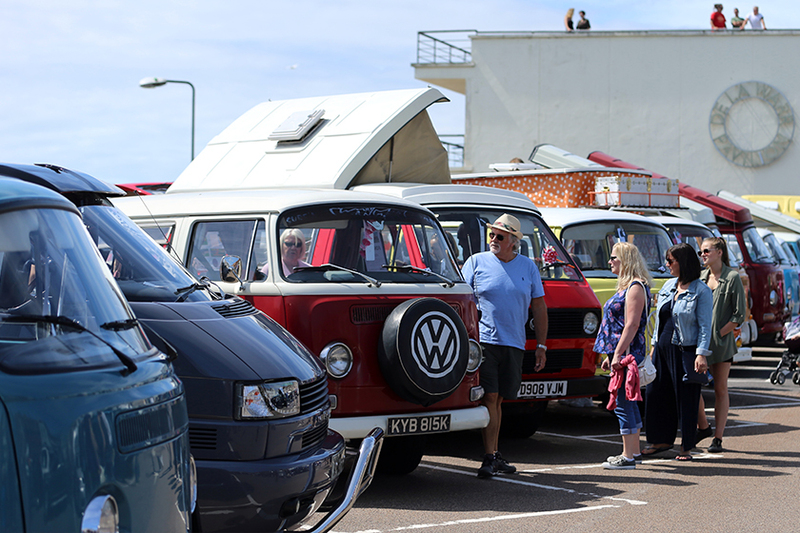 The DLWP does not take any responsibility for any vehicles and items left in vehicles parked in our car park.